If you play a lot of games, or even if you just play one game frequently, you probably want to know when special events are happening. That can be hard to keep track of, especially when you have a busy day to begin with. 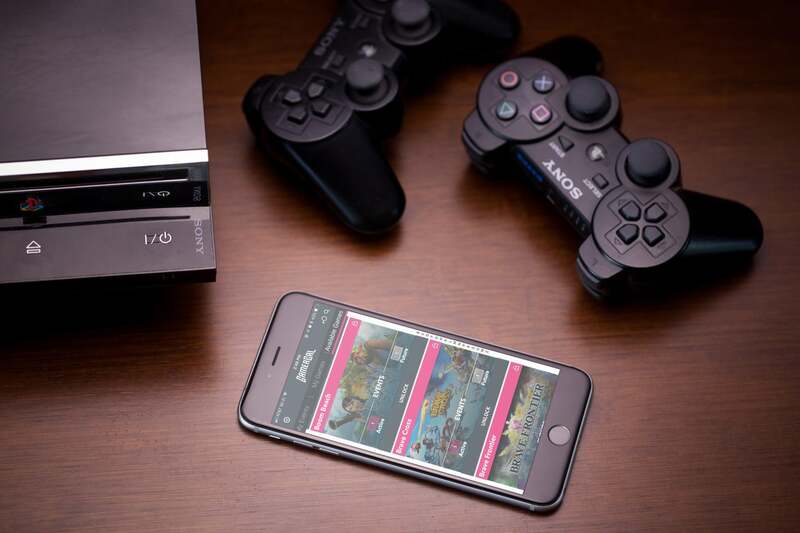 To maximize both your game-play experience and your game-play time, GamerCal was developed to let you know when important events are about to take place. Let's see how well it works. One of the coolest features of GamerCal is the Agenda View. 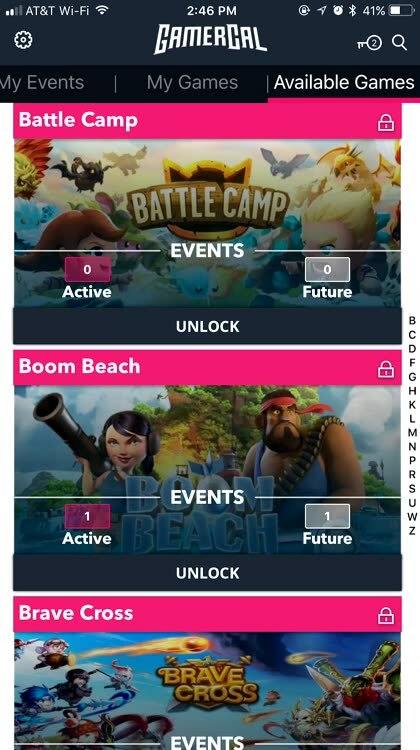 Once you've got your favorite games unlocked, it becomes simple to keep track of what events are happening and which ones are coming up. 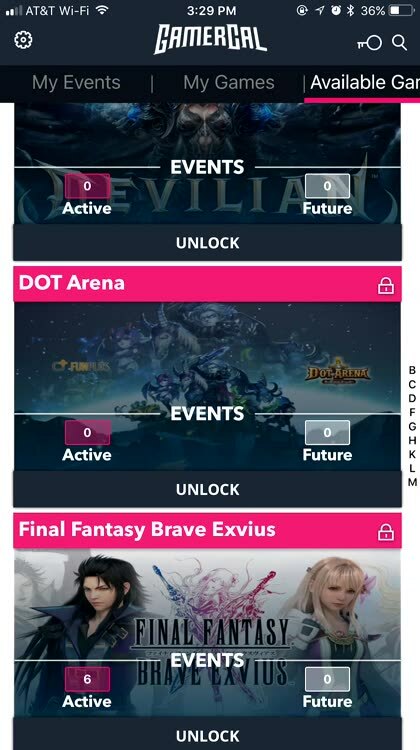 By tapping the clock icon, you get an Agenda View, showing every event for each of your games in one location. You can even tap beside the current day to "fast-forward" to the weekend or beyond. This is a great way to see what's coming up, so you can plan your game-play accordingly and get ready for those big events. GamerCal has a terrific selection of games already, and the app makes it easy to request new ones. All you have to do is provide the name of the game in an in-app form or email, and look for it to be added. 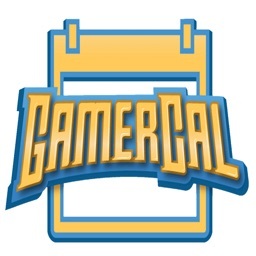 There really isn't much not to like about GamerCal, especially since it's free. One troubling aspect of the app, though, is the fact that some users might be misled into thinking they need to still purchase keys to unlock games. I first noticed this when the app told me I started out with two keys. Then, I unlocked a game and it said it cost zero keys. However, unlocking that title still took away a key. The same thing happened with the second game I unlocked. I almost purchased another key to unlock Pokémon Go, but decided to try without doing so. Later, when I relaunched the app, my keys had returned. You can see in the video, though, the key disappearing. Sure enough, the game unlocked in GamerCal for free. It appears the keys are a hold-over from when the app was monetized with in-app purchases. That doesn't seem to be the case anymore, so don't purchase keys. It's also possible, though, that some games do require keys to unlock - I didn't open up every game, because I don't want to flood my device with notifications for titles I don't pay any attention to. One thing I wish GamerCal did was integrate with my iCloud calendars. 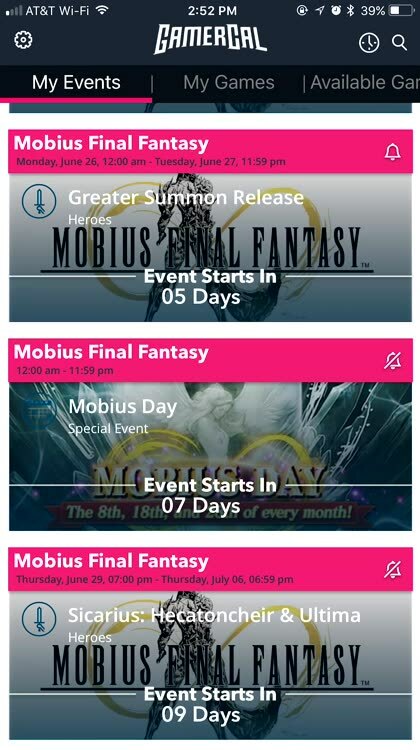 I'd love to see these events added to the calendar I already check everyday, the way Facebook does. GamerCal isn't perfect, yet, but that's okay. It has a few quirks, but what it does, it does very well. Being able to customize the timing of notifications is fantastic, since you can get more notice of an event coming up so you can better prepare for it. As the app matures, it's sure to become even more robust and useful, especially as new features and games are added. With the help of GamerCal, you don't have to miss out on special events in your favorite games. Just unlock them, and you'll start getting notifications about the games that matter most to you. 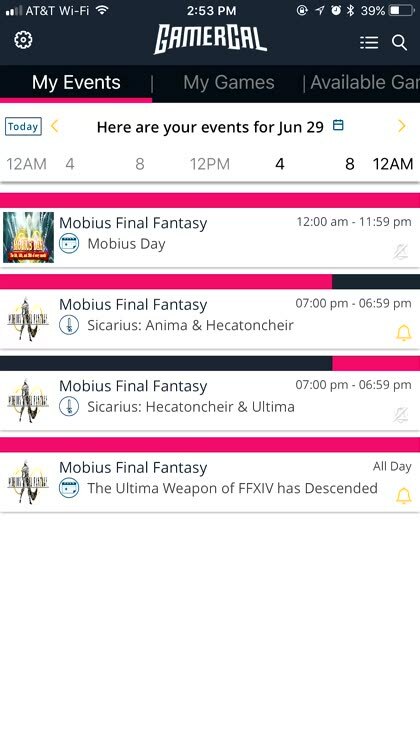 If you want to know what's happening in your games today, just tap on the clock and you'll see an agenda view. Current and upcoming events are there, and you can use the calendar to jump forward in time to find out what's happening over the weekend or beyond. Can't find your game? Use the request feature to ask the developers to list it. It's quick and easy. 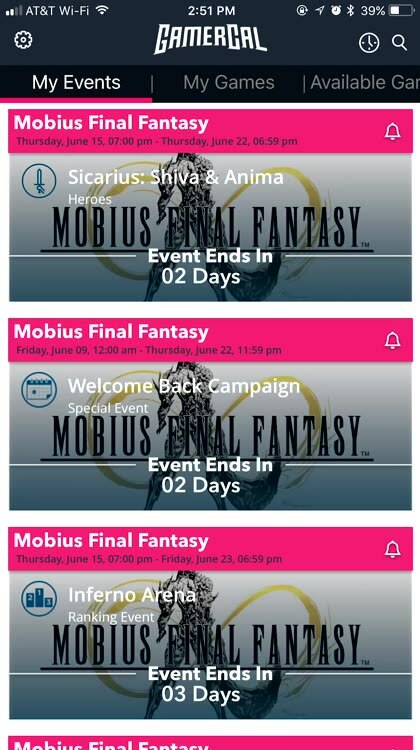 If you want more or less notice of an upcoming event, you can change your notification schedule. Get notified up to almost a day before the event's start time.